As if having Ryan Gosling singing in La La Land wasn’t enough for us, we now also have Ansel Elgort covering “City of Stars” and doing his best Ryan Gosling impression, and be still our beating hearts. It’s no secret that Ansel Elgort is one heck of a singer. The star, who has signed a record deal with Island Records, has shared a couple of his own songs, one of which is a buzzing EDM track. Then, earlier this year, Elgort shared another track, the melancholic and bopping electronic pop song “Thief,” the video of which featured his IRL partner Violetta Komyshan. Well, now Ansel Elgort has lent his musical talents to covering our fave song from La La Land, and we can’t stop swooning. In a video shared to Instagram, Elgort can be seen sat down at a piano as he does his best Ryan Gosling impression. Raising the song up an octave, he deftly plays the pianos and gives the melancholic movie track, which picked up the Oscar for Best Original Song, his own spin. Okay, firstly that is one incredible shirt that you’re wearing, Ansel! Secondly, what a great voice you have! 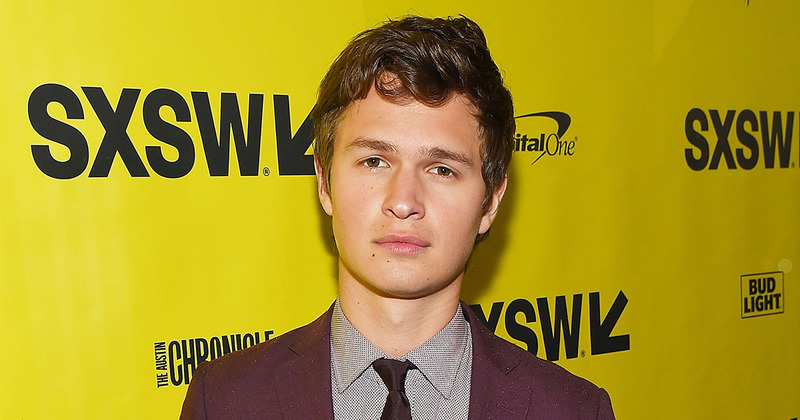 We knew that Ansel Elgort could sing, but we’re kinda surprised by just how good he is. Meanwhile, Elgort’s new movie, Baby Driver, recently made its premiered at this year’s SXSW Festival, and was met with heaps of praise by critics. The movie, which was directed by Edgar Wright, focuses on the story of professional driver Baby (played by Elgort) who gets wrapped up in some less than savoury buisness with some pretty bad guys, and stars Jamie Foxx, Lily James, Jon Hamm and Kevin Spacey. It’s expected to be released this summer. Watch the trailer below. While we’re not 100% sure that we’ll get to see Elgort wow us with his musical prowess in Baby Driver, here’s hoping that the actor signs up for a musical and we can bathe in his dulcet tones once again.